Nokia's mid-ranger, the Nokia 7.1, was announced just this month and it runs pure Android 8.1 Oreo out of the box. Some were disappointed to see the handset with Oreo instead of Pie given that the latter was officially released back in August but HMD Global assured swift update to the latest version. 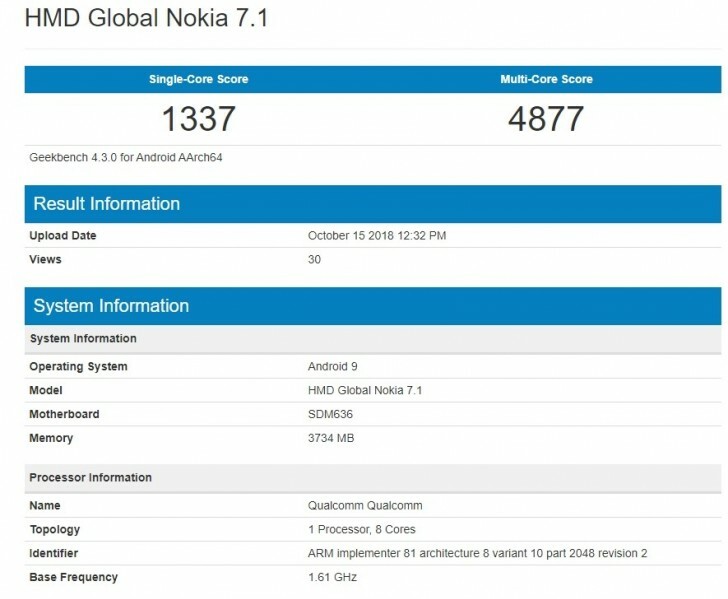 Just over two weeks have passed, and we are already seeing a Nokia 7.1 smartphone running Geekbench on Android 9.0 Pie. 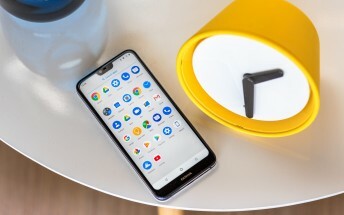 It seems like the company is right on schedule for a stable release of Android Pie next month as it initially promised. HMD also wants to deliver Android Pie for Nokia 6.1, 6.1 Plus, Nokia 8 and 8 Sirocco by the end of this month. It shapes up to be a tight schedule but given its track record, HMD Global might manage to pull it off.